Every window on the facade will be individually framed within precast concrete. When reading the profile of the building as a whole, multiple sections consist of laterally extruded bay windows. 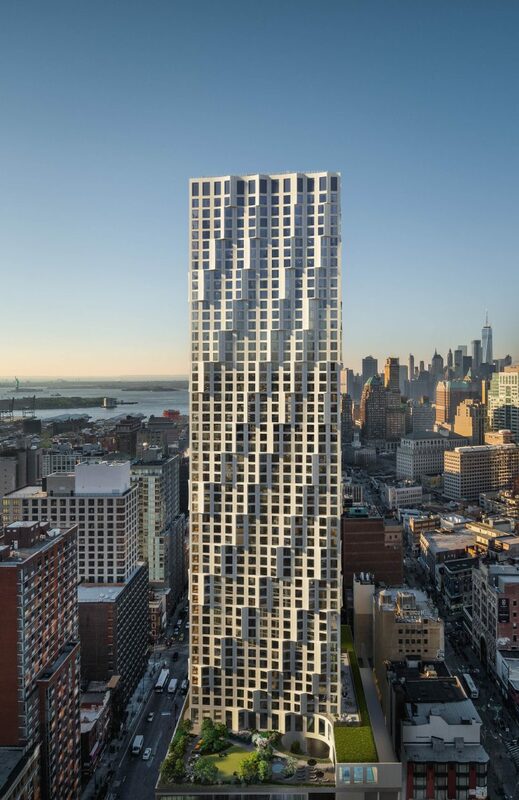 Each section is two to three stories tall, and creates a consistent diagonal wave pattern that breaks apart the rigid grid of square windows across the height of the tower from the street to the flat roof parapet. 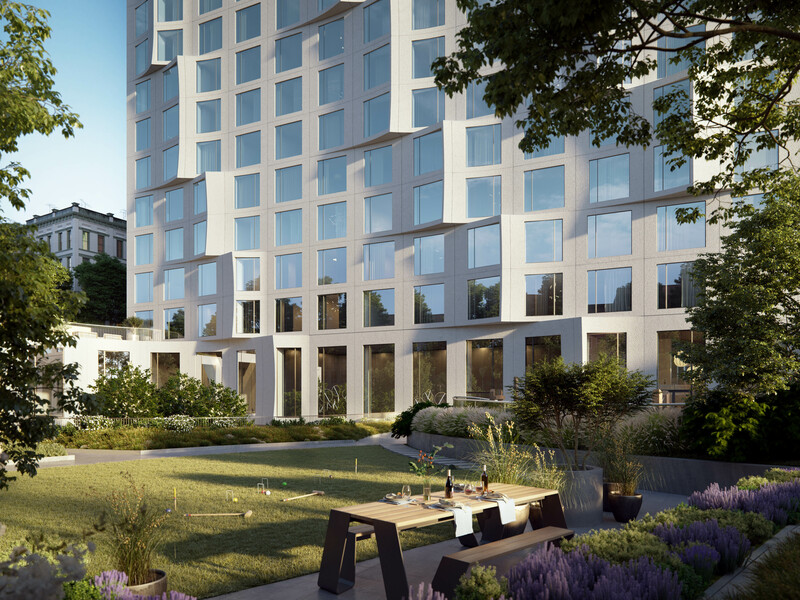 The sun will create a unique play of shadows that highlight this architectural quality of 11 Hoyt Street that separates itself from a typical glass facade. Another subtle feature is how each extruded section curves slightly inwards towards the middle, adding a secondary sculptural element to the precast concrete that can only be seen when looking directly upwards. The project site, bound by Hoyt Street, Elm Place, Livingston Street and Fulton street, is conveniently located among an abundant number of subway lines that include the A, B, C, F, G , H, N, Q, R, 2, 3, 4 and 5 trains, all just a short walk away from the main lobby. 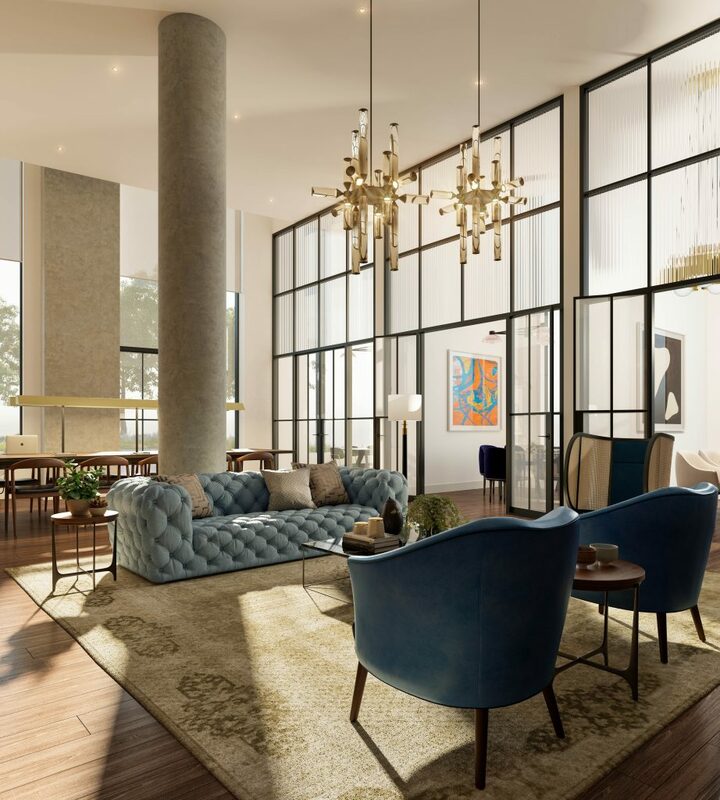 Residents approaching the building by car or by foot come through the outdoor landscaped port-cochere and will walk through the double-height lobby space that includes a coffee lounge, a pet spa and an outdoor dog run. Going upstairs, the second floor includes co-working space, a salon lounge, a children’s playroom and a game room. There are a total of 480 units, with interiors designed by London-based Michaelis Boyd Associates. 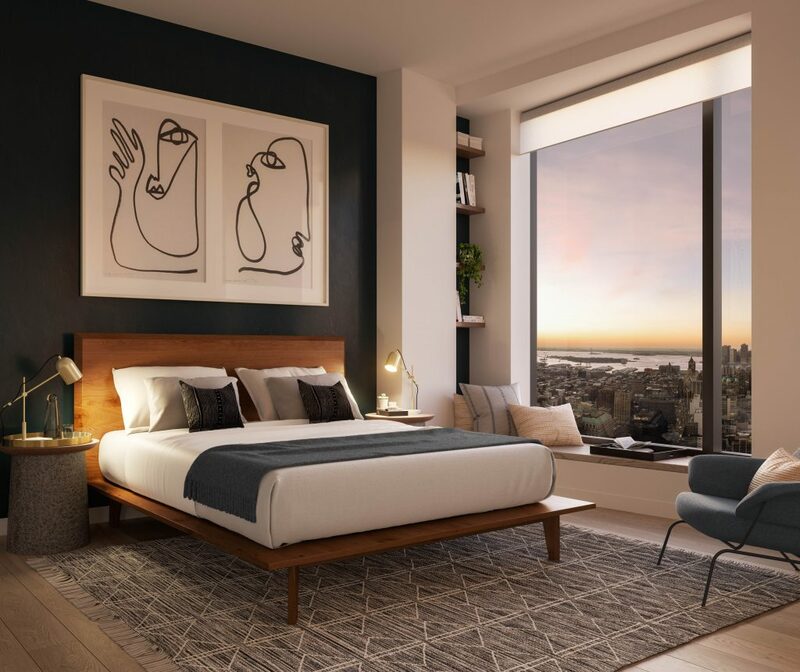 Studios start in the $600,000’s, one-bedrooms in the $800,000’s, two-bedrooms at $1,200,000, three-bedrooms for $1,900,000, and $3,400,000 for a four-bedroom unit. In total, residents can select from 190 varying floor plans. 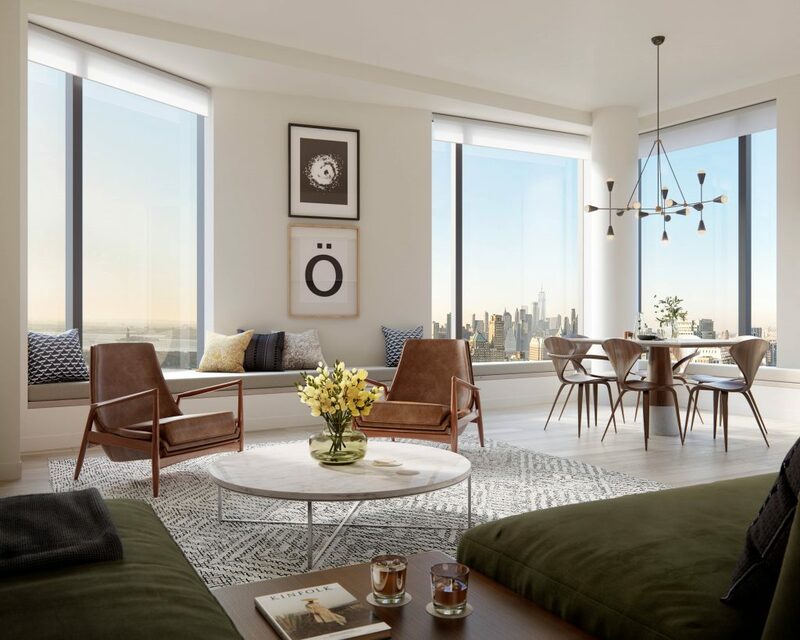 Each unit has ten-foot ceilings and eight-foot tall windows with seating found along the edge, providing enough room to sit and enjoy the views of the Lower Manhattan skyline to the west, the Verrazzano Narrows Bridge in the distance to the south, and the rest of Brooklyn and Queens to the north and east. Each unit will have smart-home enabled door locks and thermostats, seven-inch wide plank white oak floors, and washers and dryers. The kitchens will have cabinetry designed by Michaelis Boyd Associates, a Bosch appliance package, Italian stone countertops, a garbage disposal, and a fully vented range with a hood. Bathrooms will be covered with marble, glazed crackled ceramic wall tiles, and custom vanities. Radiant heat flooring will also be found in the master bathrooms. Two colors patterns are given for each unit labeled “Classic,” which focuses on light materials and tones, and “Heritage,” which pays attention to Brooklyn’s past using darker hues, tactile finishes, and hand-wrought appeal. 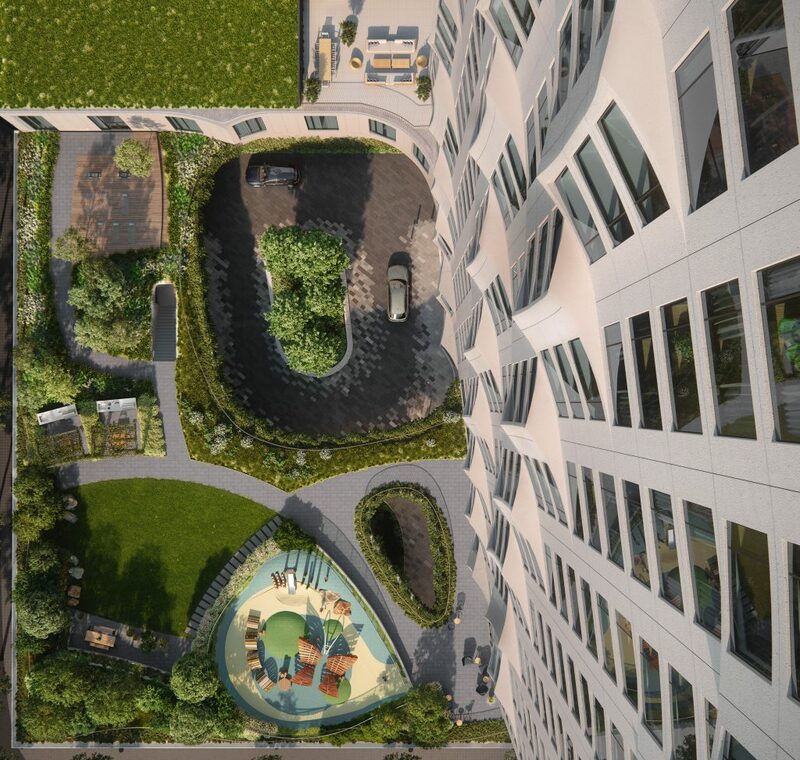 Aa 27,000 square foot private elevated park can be found outdoors atop the second floor, which will become the largest in Brooklyn and most likely the largest in New York City for any residential building. 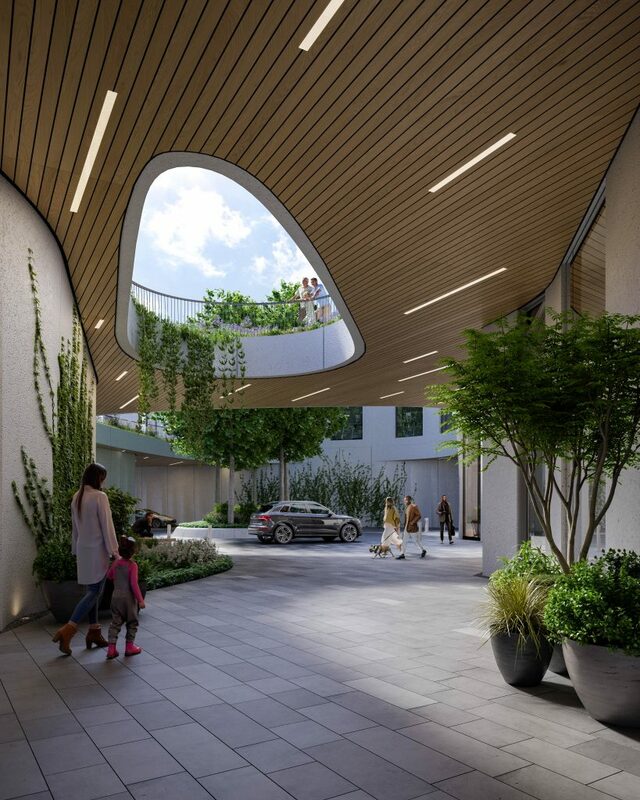 It will have a sun deck and a fitness deck, a hot tub, a children’s play area, barbecue pods, and lounge spaces among the landscapes for residents. The landscaping for the park is being designed by Edmund Hollander Design. 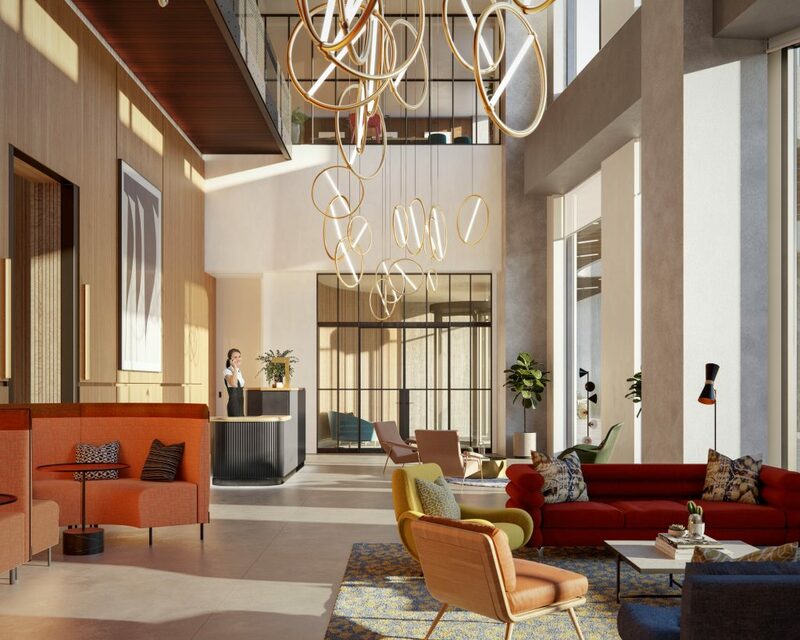 Next to the private residential park will be the “Park Club” that will house a saltwater 75-foot swimming pool and a private fitness center designed by the Wright Fit. 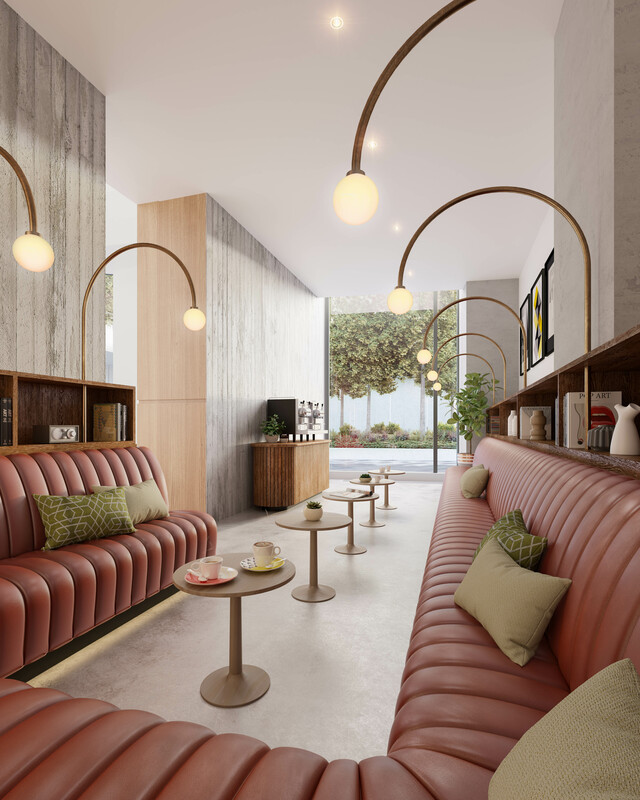 Also found inside the fitness center will be designated spaces for weight and cardio training, yoga and group fitness rooms, a squash court, a massage treatment and relaxation rooms, and men and womens’ locker rooms with saunas and steam showers. 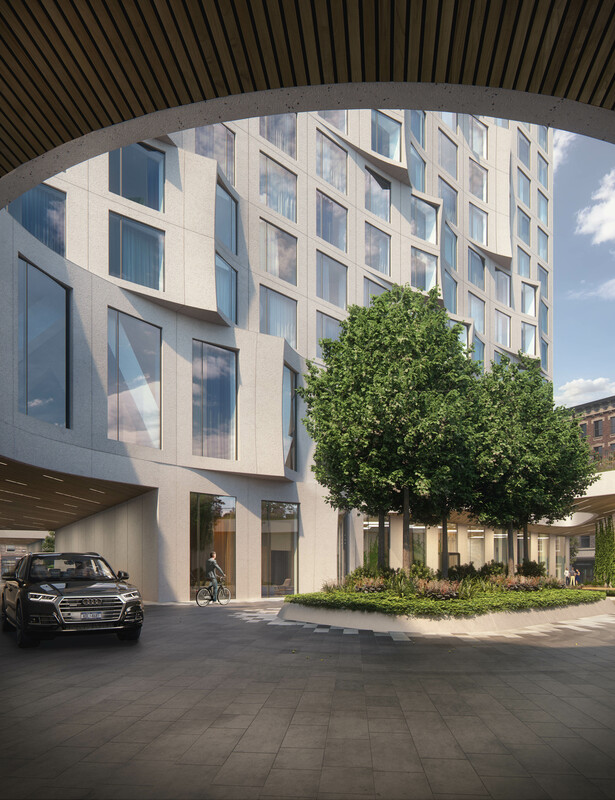 7 Comments on "Tishman Speyer’s 11 Hoyt Launches Sales in Downtown Brooklyn"
This rendering either obsolete, since it’s shows 15×3 floor sections, plus 2 stories on the top, and bottom floors are 4×2=8. Original rendering earlier notify this building have 615,000 buildable sq feet and as 51 story tower. Rendering showing bottom 8 floors plus 45 top floors and 2 story high penthouse floor. Total maximum is 55 floors including mechanical. It could be also 51 floor count, if 2 story high 8 floors will be count as 4 duplex stories including 2 story high lobby portal. What’s bring total to exactly 51 floor, if lobby count as two floor. Original rendering also shows a height of 593 feet to parapet. So, unless developer marketing this building as 57 story, the actual floor count on rendering is 51. They may add 2×3 story blocks to make up 57 floor count, but this highly unlikely, since this building already overwhelmed a platoes of maximum 30 story buildings within several blocks in all direction, 57 story with this design probably push height to 650 feet or higher, what’s unlikely being approved. See story of shopping height of Flatbush Supertall from 986 feet to 840′. Same fate possible for this design too, if it’s too tall!!! It does not appear to be a “full block” unless it will incorporate the existing buildings along Fulton Street. It is being built on the old A&S parking garage site on Livingston between Hoyt and Elm. This building by Studio Gang is more resemblance of famous Aqua Skyscraper in Chicago, than “NY by Gehnry” on 8 Spruce Street. 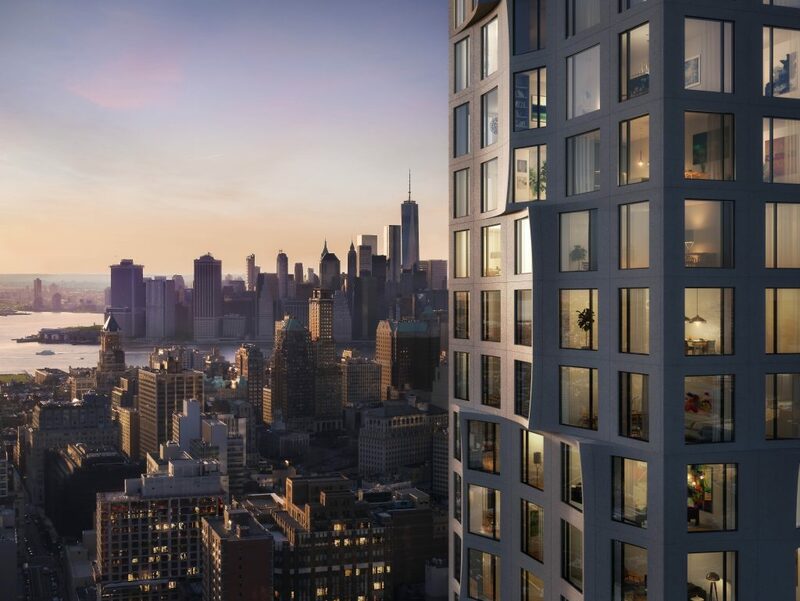 Tower on rendering above looks 51 story, actual story count to be built, and building positioned over much shorter Livingston Street corridor cityscape. Yes, it’s have simular resemblance with 8 Spruce, but only from farway distance, overall this building is a first true Manhattan scale building in Brooklyn with nice architectural sculpted curtain wall. First building in whole Brooklyn, who ttansform Livingston Street Corridor in true true Big City Downtown cityscape. Height of this building about 593 feet, what’s already pretty modest for Downtown Brooklyn. Jeanne Gang is making instant lamdmarked building here. AS IT IS NOW THERE’S NO SUNLIGHT ON THE NEAR STREETS DUE TO THE TALL BUILDINGS. This building, if is allowed to be built has already excluded most of Brooklyn’s residents due to price range. This Real Estate rendering must be scaled down.